The premiere of the very famous reality show Bigg Boss 12 finally took place yesterday on Colors channel at 9 PM and with that began the course of the 12th season of the show. In teh episode that got telecasted last night we saw the host Salman Khan welcoming the contestants of the show one by one that raised the excitement of the fans. The contestants included single as well as jodis of both celebrity as well as commoner contestants. 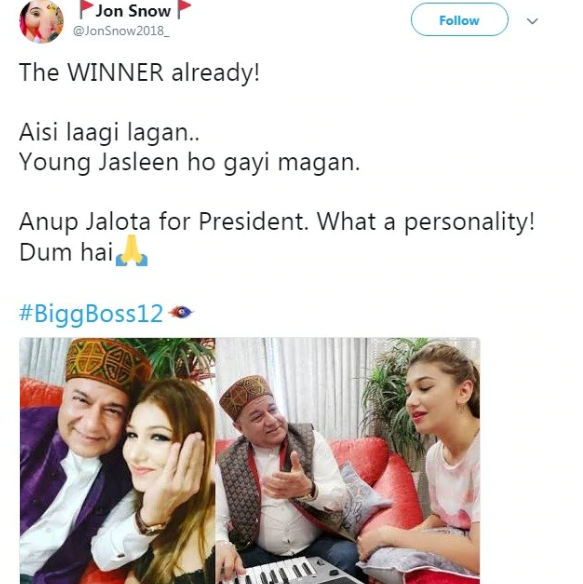 Amongst the contestants who entered the show, there was a jodi that excited everyone including the fans, the host, the panel, the ex-contestants and now even the people on social media and it was that of Bhajan king Anup Jalota and his 28-year-old girlfriend Jasleen Matharu. The couple admitted that they have been dating each other from quite a long time and therefore they will be using the show as a platform to tell the world about the same. 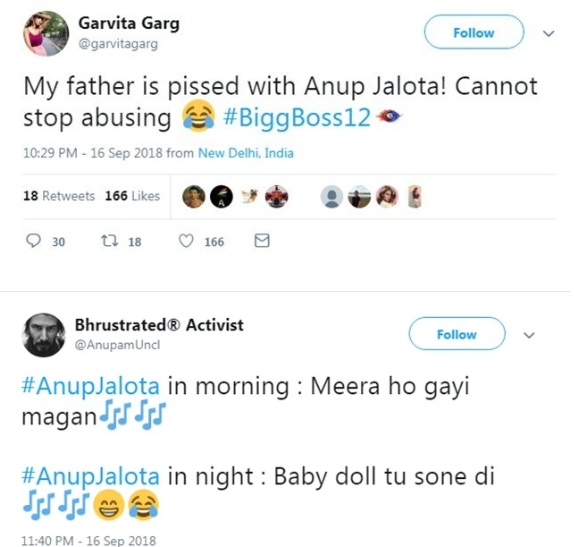 The tall and beautiful girl along with the famous singer are now locked inside the house and raising the excitement of the fellow contestants who want to know whether in reality a couple or not. 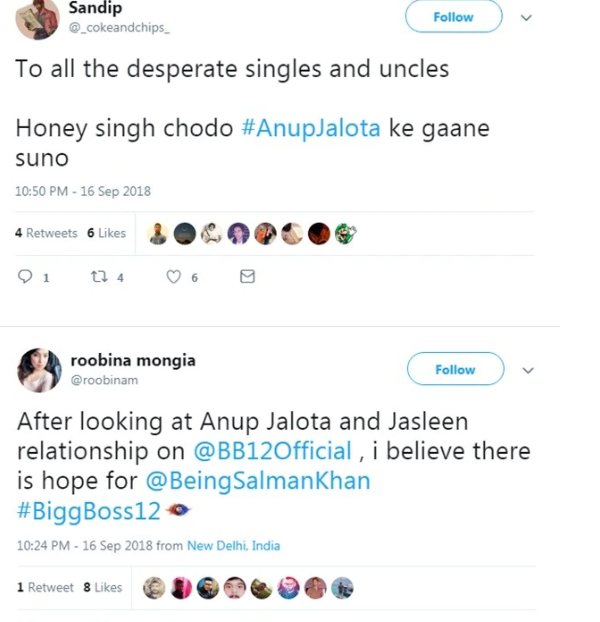 It was also revealed by Jalota, in one of his interviews that he would stay in the house only for a month and wants to spread joy and happiness but before he leaves it seems that they surely are going to spice up the game since in the preview episode it was shown how Jasleen fights with other contestants over their relationship while Anup can be seen sitting quitely. For more updates about the show, stay tuned with us!